While a start-up, we began experiencing downtimes. You can say that it’s all our fault and we should just start using a to-do/reminder system. I don’t agree. It happens to many and often. 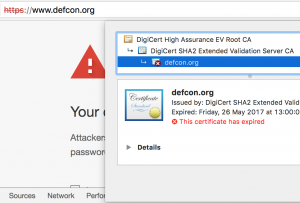 Only last week, the website of DEF CON – the mother of all hacking conferences, denouncing many for bugs, sloppiness, and vulnerabilities – was down and completely thanks to the HSTS flag. Anyone can get it wrong occasionally. At Enigma Bridge, We tried several strategies and tools. We even started tracking renewals with our support system. However, we made mistakes in synchronizing tasks with the reality. Things got better, but we were nowhere near to be able to say, with certainty, that all our services were running. crt.sh – online checks against Certificate Transparency logs. 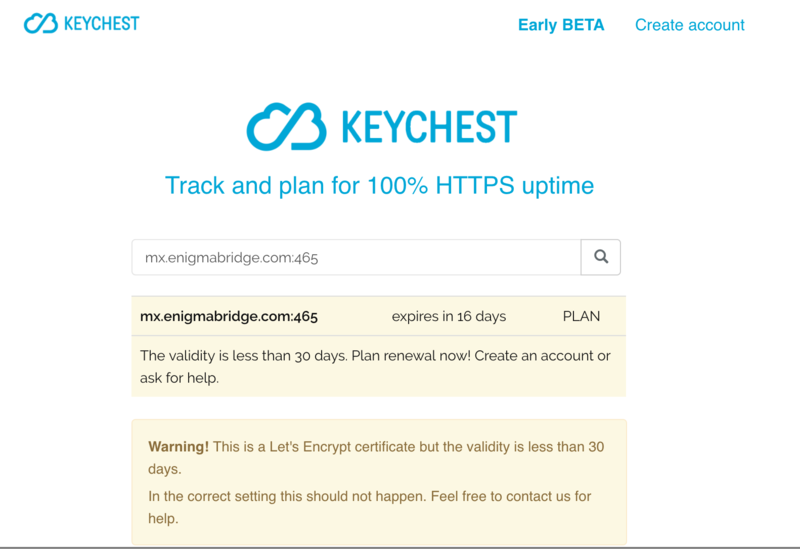 KeyChest is a FREE tool you need to stay on top of all your certificates and to keep your boss happy. Plan your renewals, get your weekly summary and present your certificate performance indicators (KPIs) to your boss. 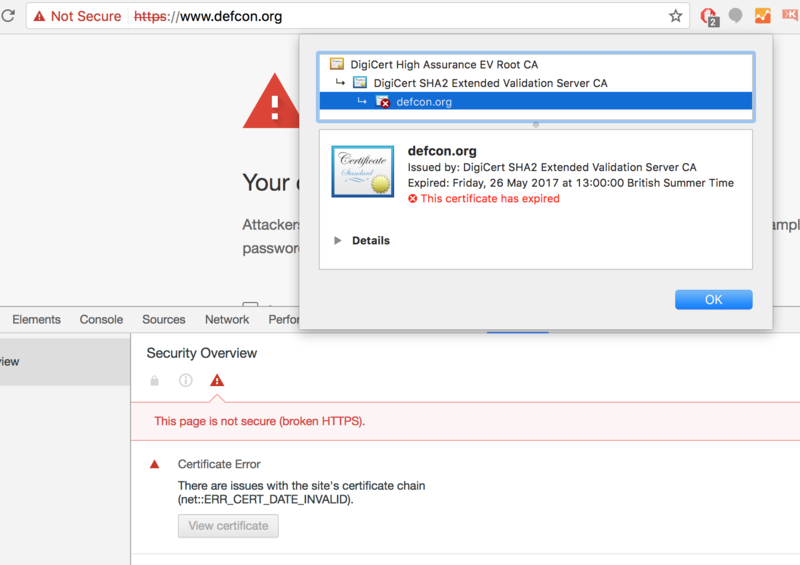 a list of certificates updated when domains change – ports, active/legacy. calendar with expiry dates/plan: next 7 days, 28 days, quarter, and year. (maybe if anyone wants it) automatically updated calendar. use colors to make pressing items and incidents easy to see. 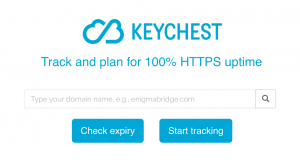 we want this service to be free to support the use of HTTPS/TLS as it makes the internet better. These requirements evolved a bit and we added a simple form to check one server/domain, without the need to login or create an account. This page is available now (although we are still improving the presentation), with an account dashboard coming out on 9th June. Development of the back-end took more time than we thought it would. Having said that, we eventually opted for scalable and robust design with asynchronous workers and detailed parsing of certificates and data from servers. All that seems to be in a good shape now. the time left till the certificate expires. And we will add a few more indicators like HSTS and pinning on the server with improvements of the presentation. 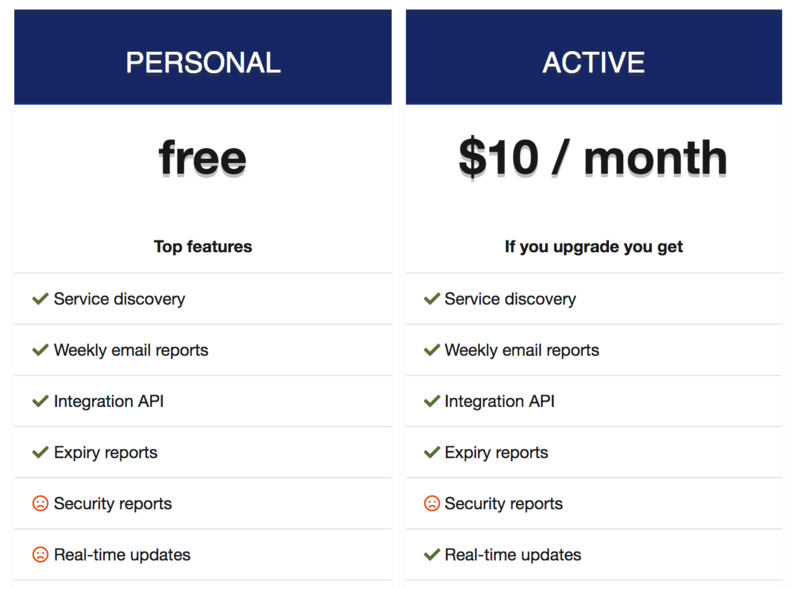 If you register now, you will receive an email as soon as the dashboard comes live. You can already send to us your suggestions for extensions, changes, and improvements. We will use this for subsequent versions. If you like it, please spread the word! 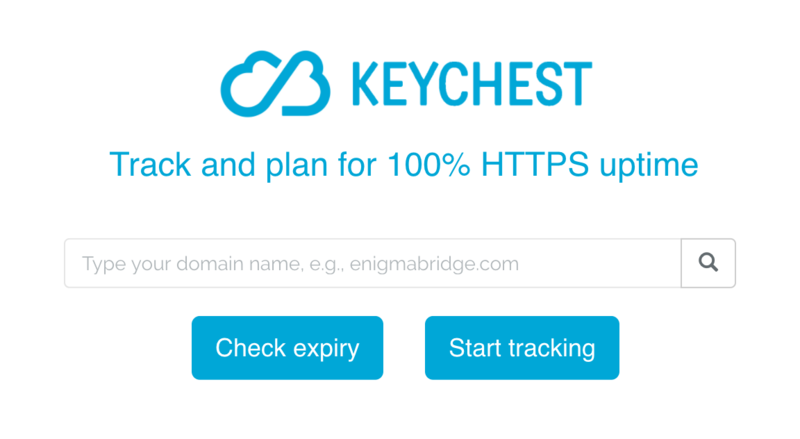 Register at https://keychest.net and follow this space for updates coming soon.